Our 1897 set of Savage Gallopers needs all its lamp holders replaced, thats nearly 600 (562) to be exact. A heat proof self piercing lamp holder for the job will cost us just under 5 pounds each. 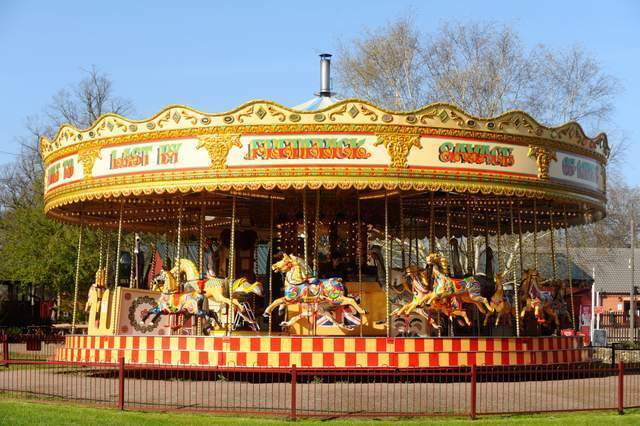 If the Gallopers is your favourite ride here at Bressingham, why not donate a lamp holder and know you will be shining light on the tens of thousands that ride on the Gallopers every year (clockwise!). If you a UK taxpayer and can Gift Aid your donation we can reclaim 25p for every 1 pound, it costs no more to Gift Aid a donation - just pick the top option below.